Shakespeare made Verona immortal with his "Romeo and Juliet" tragedy. However, many visitors completely miss the hidden gem of Basilica di San Zeno Maggiore in Verona. This beautiful church is rumored to be the inspiration for the crypt in Shakespeare's famous play. 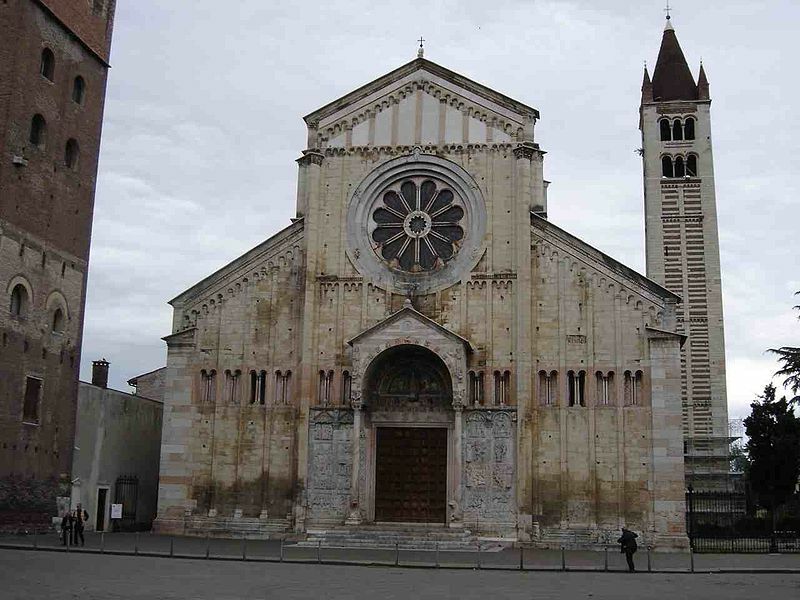 The Basilica is also known as Basilica di San Zeno or the San Zeno cathedral. It is often easy for tourist to miss because Vernon's impressive architecture hides the church. Compared to some of the other buildings, the Romanesque church is easy to ignore. However, tourist who do not enter San Zeno will be missing out on the incredible interior. The Basilica di San Zeno is dedicated to Saint Zeno, and it is believed the church was built in the 12th century. The peaceful basilica offers an incredible guide to Romanesque architecture and art. It has been preserved and restored over the years. 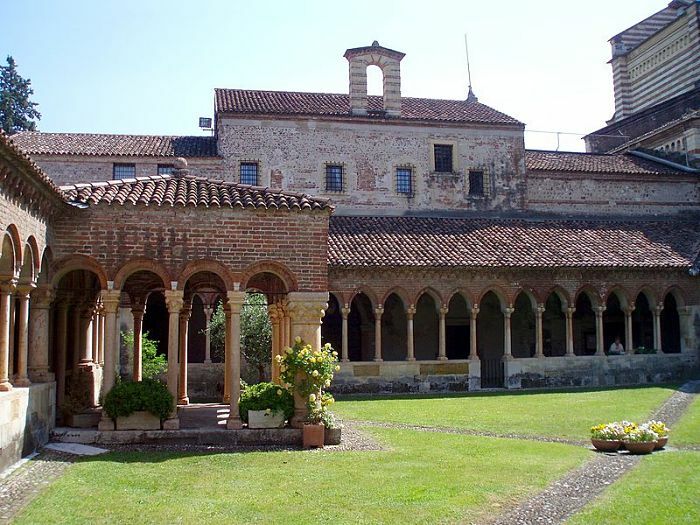 San Zeno is often empty during the day, so visitors searching for a quiet afternoon can enjoy it. Large bronze doors with carvings greet you at the Basilica di San Zeno Maggiore, but they cannot prepare you for what is inside. The exterior walls of San Zeno are decorated with ornate carvings derived from the Bible, and there is the typical rose window seen in Romanesque architecture. Time, weather and wars have taken a toll on the exterior, but it is still beautiful. The interior of the church has an altar with a restored polyptych altarpiece. The Basilica de San Zeno has large columns and arches that have pink stripes inside. the large statues of the Apostles are incredibly preserved. However, it is the frescoes that often capture the attention of visitors. Still containing much of the original paint, the frescoes depict Bible scenes. Unfortunately, you will also see graffiti left behind by Napoleon's troops and others. They may mar the frescoes, but they are also a powerful way to see the past of the church. 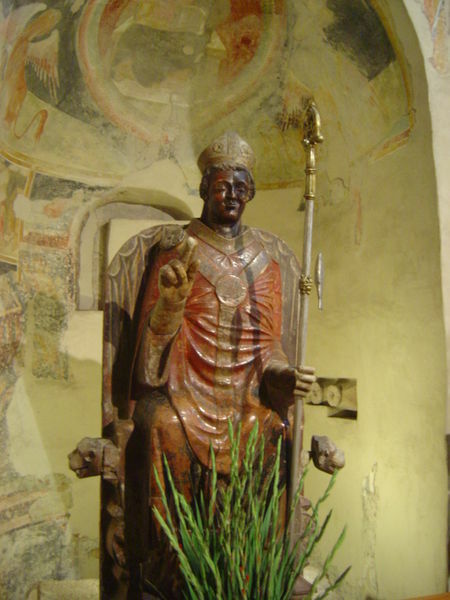 Saint Zeno is not forgotten, and there is a large statue of him inside the church. There are always fresh flowers near the statue that is guarded by a small railing. If you use the stairs, you can walk down to the crypt and see the sarcophagus of the saint. It is believed that the remains of Zeno are inside, and his face has been hidden with a silver mask. the crypt is also linked to Shakespeare's "Rome and Juliet". The Basilica di San Zeno also has a large bell tower and cloister. The courtyard offers another peaceful escape in Verona, and the architecture will continue to amaze you. Marble columns line the courtyard, and the perfectly manicured lawn is inviting. San Zeno is smaller than many of the churches in Italy, but it has a unique quality that captures people' attention. The church offers a way for people to step into the past, and it is beautifully preserved. Although it lacks much of the gold and ornate fixtures seen in other places, the Basilica di San Zeno Maggiore is worth visiting.